Finally classic styling for later model bikes! 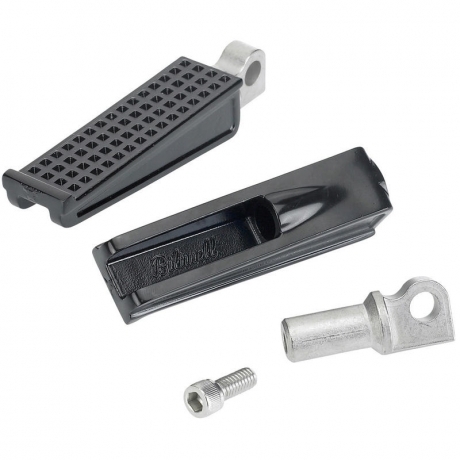 These bulletproof, investment cast stainless steel pegs are designed for bikes with with female mounts. They fit late model HD sportsters and big twins and many other universal applications. The male mounting portion is 4130 Chromoly for unbeatable strength. Infinitely adjustable so you can rotate the peg body into any position, then lock it down. This feature comes in handy if you have forward controls, like to tilt your pegs back a little bit or otherwise adjust your ergonomics. Black ED, cast stainless steel! Sold per pair. 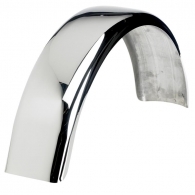 6" Wide Polished Stainless Steel Flat Trailer Fender 5990грн. 14070руб. 210.00usd. 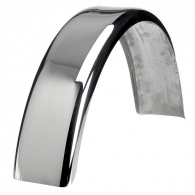 5" wide Polished Stainless Steel Flat Trailer Fender 5420грн. 12730руб. 190.00usd.